News travels fast in the Land of Book Blogs. That’s by design and according to passion. But what is the value of book blogger news? Who does it ultimately influence? And are the publishers that are still courting book bloggers — hosting them at the BEA, sending them ARCs by the crateful — calling it right? Or was William Morrow on to something when it sent book bloggers its now notorious “your job” e-mail, signaling a possible era of fences? It’s not just the industry that seeks answers to the book blogger value question. It’s the bloggers themselves, many of whom have been at this for years — reading those books, giving public voice to their perspectives, tweeting give-aways, running contests, interviewing authors. Book blogging takes time. And while some bloggers have certainly found ways to monetize their efforts (a move that is not without its own complex controversies), a substantial number of the bloggers are still doing what they do for the simple love of books, and for the chance to turn someone’s head toward a story they have loved. Can they? Have they? Does anybody know for certain? If there are statisticians working on rubrics and finalizing the math, I’m not privy to them. I am privy, however, to the details of my own book life. I can, I’m saying, report from the trenches and allegate — with more than a touch of the emphatic — that book bloggers don’t just shore up a writer’s confidences, or make her feel less lonely. Book bloggers rescue certain books. They may even rescue quite particular careers. You must understand. I woke up to this, which is to say: I had not paid for it, had not asked for it, and had most assuredly not seen it coming. And yet there I sat, for weeks on end, as bloggers all around the world joined the effort — buying and reading and blogging Nothing But Ghosts because two of their own, soon joined by far more of their own, had made the suggestion. It wasn’t simply that no one was remunerating them for their efforts. It was also this: No one could stop them. In recent months, on the heels of the launch of my sixth young adult title, You Are My Only (Laura Geringer Books/Egmont USA), I have again born witness to the power of book bloggers. This time the bloggers joined forces months before the book was even released. This time, the sheer innovation and magnitude of their efforts — the contests, the giveaways, the urgings, the announcements, the extraordinary best of year listings — didn’t just overwhelm me, surprise me, or reassert (for me) the vital goodness of goodness. It all ratcheted the book toward a third printing while creating a context for a sale with the Brazilian publisher Editora Novo Conceito as well as dtv-Reihe Hanser in Germany. I’m not feigning Stephen King quantities. I’m not stalking bestseller lists. I am only telling this personal story — and asserting the power of book bloggers. Without radio, TV, or newspapers, and in the absence of a tour, You Are My Only was given wings by a band of feisty, funny, lovable bloggers who, by saying yes to a book, gave breadth to a career. There’s no rubric for something like this. And perhaps there shouldn’t be. 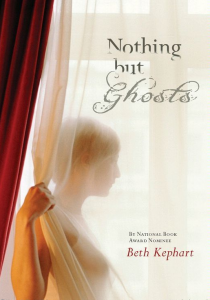 A frequent contributor to Publishing Perspectives, Beth Kephart is the award-winning author of thirteen books. Her fourteenth, Small Damages, set in Seville, will be released by Philomel in July. 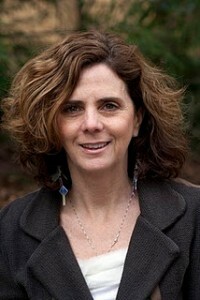 She blogs at http://beth-kephart.blogspot.com/. DISCUSS: How Have Book Bloggers Impacted Your Book Sales?